Campers, boats and trailers are all significant investments. What is it worth to you to protect yours from damaging road debris? Avoid costly repairs and retain maximum resale value of your boat, camper or trailer by investing in ROCKSTAR hitch mounted mud flaps. 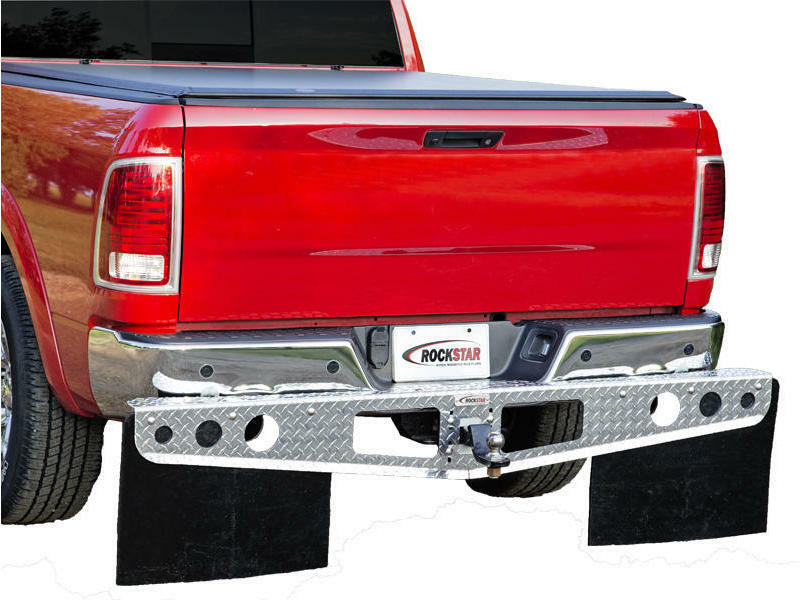 Made model specific for the best possible fit, ROCKSTAR hitch mounted mud flaps contour to fit your truck's bumper and act like a shield to deflect rocks and other road debris away from what you tow. See "Vehicle" tab for the complete list of vehicles that this product is designed to fit.